So, you’re ready to convert customers into core product buyers? 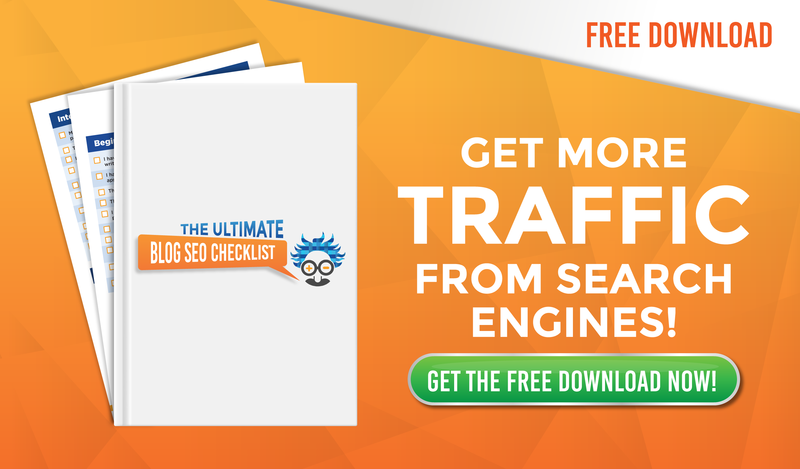 You’ve generated traffic to your website and converted visitors into leads or new customers. Not yet? 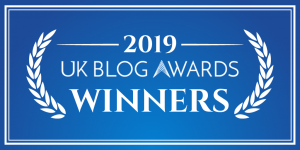 See our Traffic Generating strategies at Einstein Marketer’s Top of Funnel Guide, or Visitor Converting tips at our Middle of Funnel article. 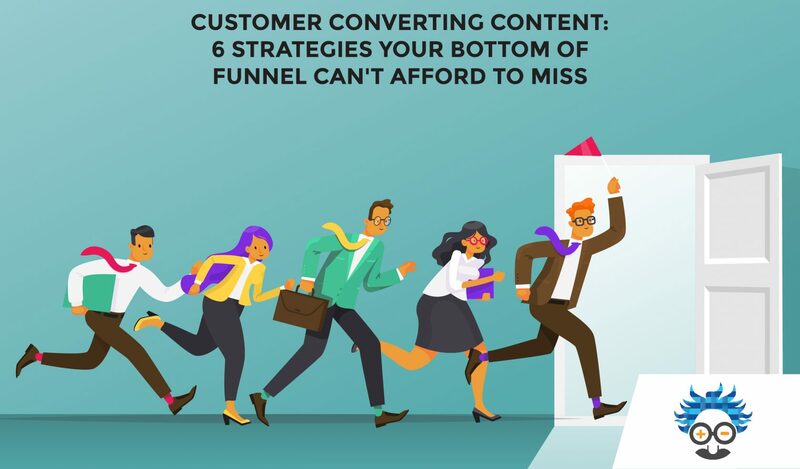 But before we kick up our feet and watch the money roll in, we need to OPTIMISE the Bottom of Funnel and convert those leads into customers. Convincing customers to buy our core offer is the bedrock of business. We’ve seen literally hundreds of businesses with similar conversion problems. If the answer is YES, you’re in the right place. 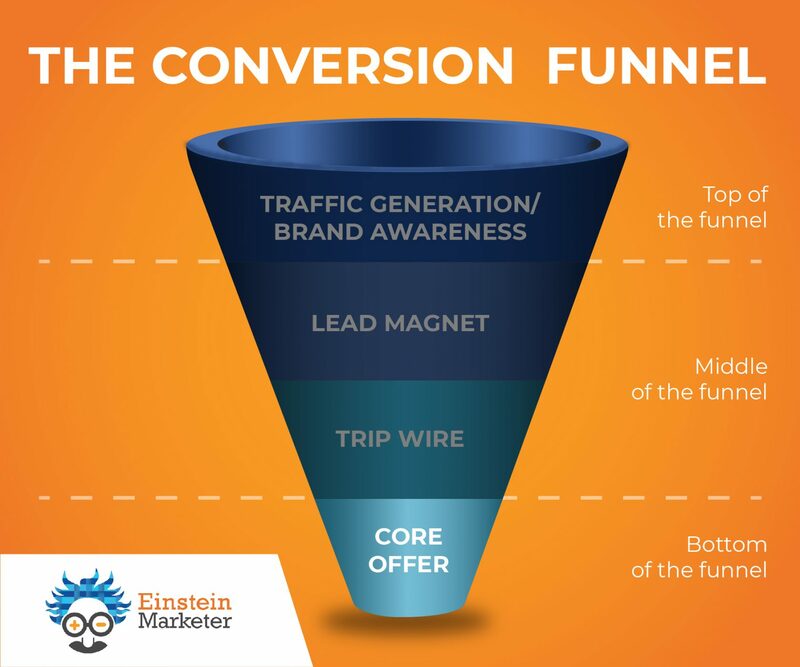 Pay attention to Einstein Marketer’s Bottom of Funnel Guide, and we’ll get to the root of the issue. 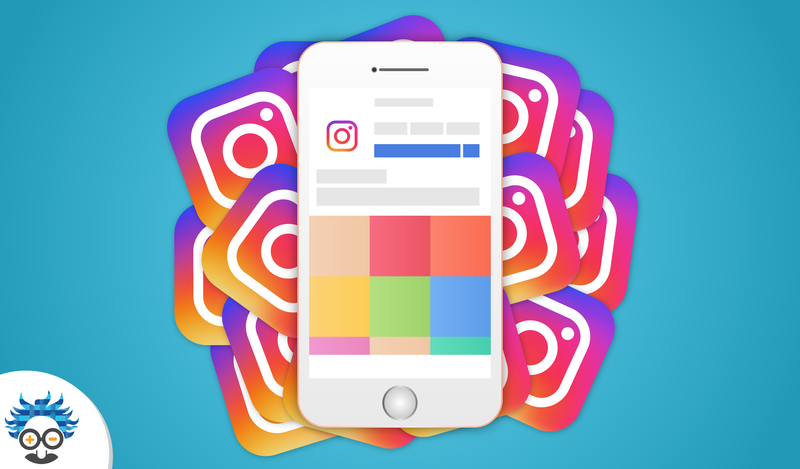 A Funnel is a three-step system that converts customers at a much greater rate than traditional digital strategies. Every business has one, the majority just don’t know how to use it. 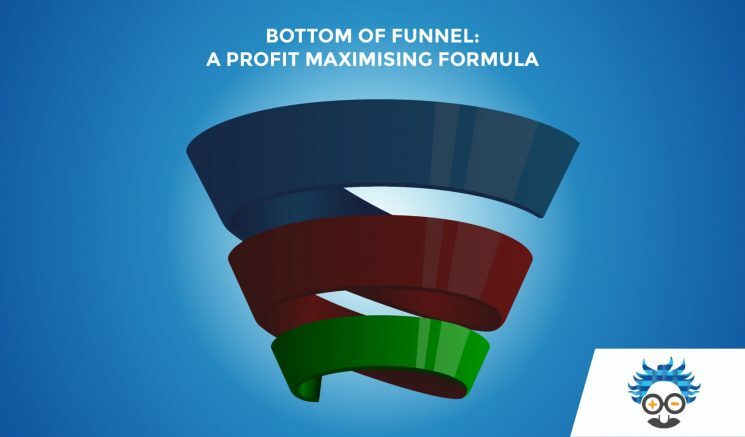 If you’d like to know more about Funnels CLICK HERE to read our Ultimate Guide to Conversion Funnels. OK, we’ve isolated the problem to the Bottom of Funnel. Let’s see what we can do to remedy it. Bottom of Funnel problems will make the slickest of Top and Middle Funnel strategies worthless. The Bottom of Funnel is where we bring home the bacon. There’s little room for complacency, especially after all our efforts at the earlier stages of our funnel. EINSTEIN MARKETER MOMENT –Break down your Bottom of Funnel goals into smaller business specific targets. Analyse where you are weakest and improve. Every business needs to reinvent these targets. Even if your business is making £10k per day, why can’t you optimise your Bottom of Funnel to make £20k? EinsteinMarketer has in the past. By this point in our funnel we’ve built consistent traffic, great brand awareness and prospects who’ve been converted to leads. Let’s go about making the most of it. The answer, A VALUE LADDER. Let’s imagine we have one customer who has £50 to spend and another who has £500. Should we offer a product worth £50? We’d want to offer products at £50, £150, £300 and upwards. If our £500 customer takes each one of those deals on his ascent up our value ladder, we will have maximised his customer value. Instead of collecting £50 from both of the customers. We’ve collected £50 from one and £500 from the other. EINSTEIN MARKETER MOMENT –A value ladder will take a customer on a journey from one product to the next. Just because a customer has £500 to spend, it doesn’t mean we should skip the £50 service. We want to maximise their value through multiple steps, this guarantees higher conversion rates. Hopefully, you’ve already read our Conversion Funnel Guide and know exactly what a sales page looks like. What stands out about this page? The call to action? The offer? The lack of escape options? When prospects only have two options– ACCEPT or LEAVE, and they’ve already journeyed through the funnel, they’re much more likely to buy. 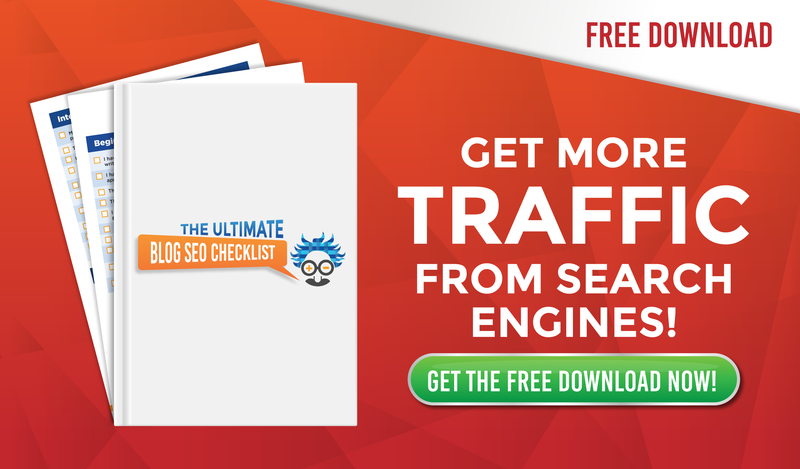 Conversion rates on SQUEEZE PAGE’s are sky high in comparison to traditional websites. EINSTEIN MARKETER MOMENT –Take your customer up your value ladder with a series of squeeze page offers and upsells. Nothing converts like them. Don’t have a web programmer? Or a technical bone in your body? 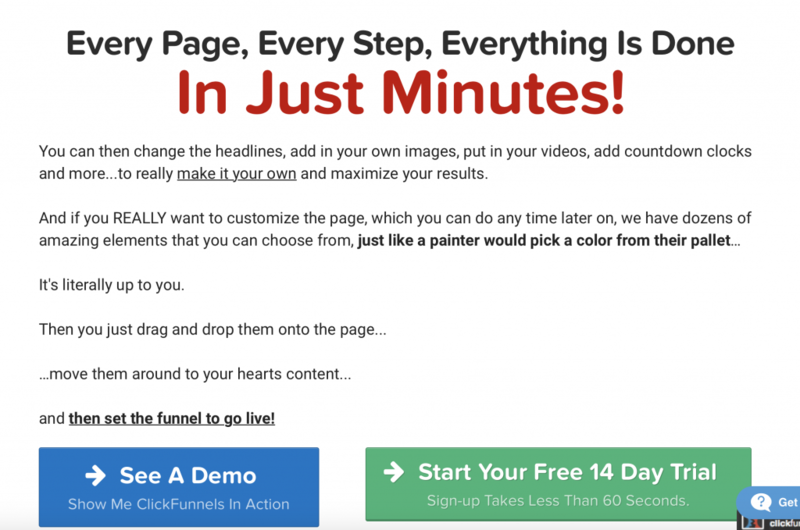 Use a software service like ClickFunnels to create squeeze pages for your funnel. So, we’ve developed a value ladder that maximises customer value and built lead friendly squeeze pages. How are we going to make them hit the buy button? With content that’s designed to convert. Seen these at buying pages? We thought so. Everyone uses them. Why? They work. Everything is in place. 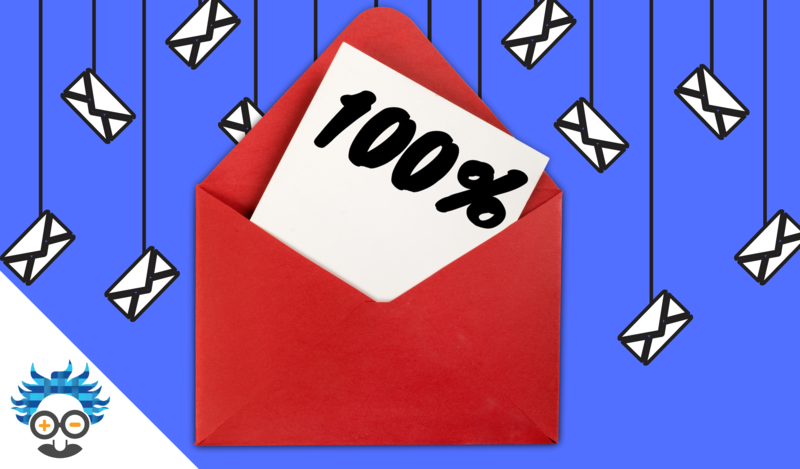 You’ve followed EinsteinMarketer’s beautiful Bottom of Funnel Guide to the letter and you’re converting customers at a much higher rate. But what’s working? Where do we need work? And what do we need to make more available? –Sales Conversion Rate– Employ this- Sales page visits/Number of purchases, to discover your sales conversion rate. Try altering your price, converting content, squeeze page format and images/video to boost your conversion rates. EINSTEIN MARKETER MOMENT –Run split tests to discover what format, images, content and titles convert best. You’ll be amazed at the difference one tiny alteration can make. Check out our Ultimate Conversion Funnels Guide HERE to find out more. –Lifetime Customer Value (LCV)– total revenue/total number of customers. Use this formula to work out if you are maximising your customers value. You should have a good understanding of your target markets spending power, so are you achieving the top level? If not, why? 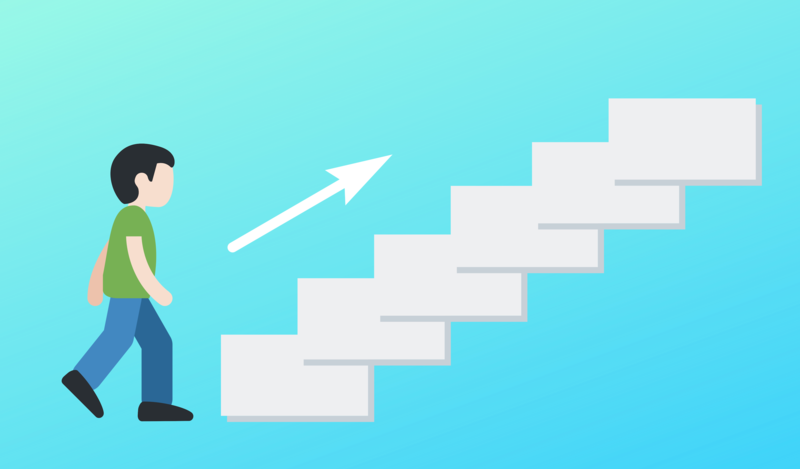 Do we require more steps on our value ladder? –Upsell conversion rate– Number of upsells core offer sales. Use this formula to discover how successful your upsell offer is. Is it priced to high? Is it relevant enough? How can we upsell better and maximise profit? That’s it! 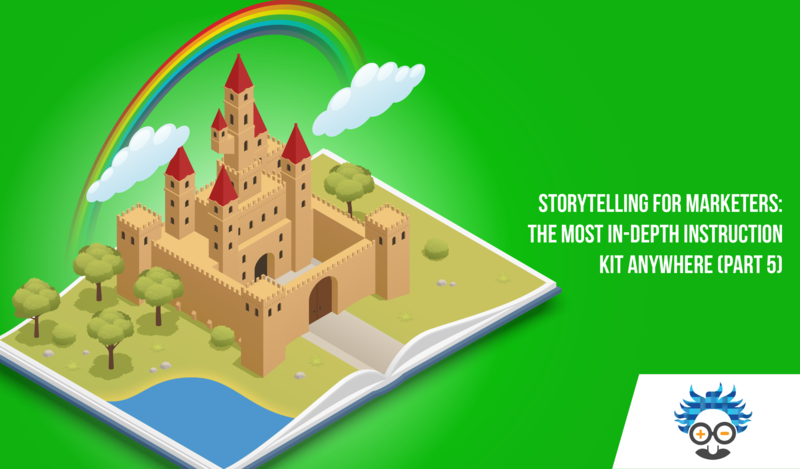 You’ve learnt a ton of useful information about every stage of the funnel and you’re ready and raring to go. All you need to do now is get it up and running. If you need more FREE INFORMATION about getting started, read our Ultimate Guide to Conversion Funnels HERE. And congratulations on your slick money-making conversion funnel. Just remember, we’ve learnt these skills from years in the business. You’ll need to perfect your funnel through split tests and experiments. 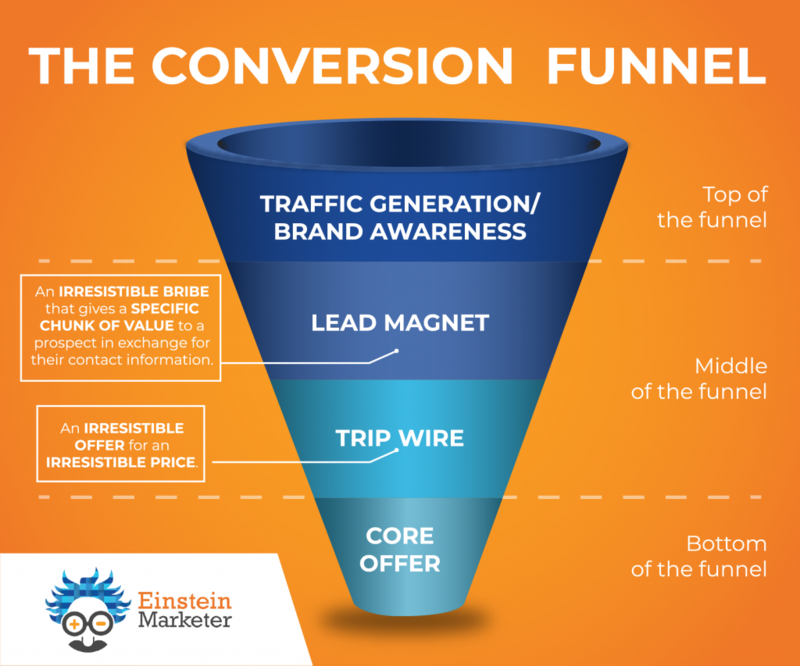 Follow our advice and master the Conversion Funnel to make your business the best it can be.